On December 11, 2018, Nevada-based partner John Samberg will be on the faculty of a National Business Institute seminar entitled “Hearsay, Email, Business, Records and Social Media – in the Trenches!” The program provides CLE credit, and offers a practical guide for attorneys in fine-tuning their understanding of evidentiary rules, the proper and creative use of objections and exceptions at trial, and ethical considerations in applying these rules. The seminar will take place at the Hilton Garden Inn located at 9920 Double R Boulevard, Reno NV 89521. To learn more please call 1-800-930-6182 or click on the link below. 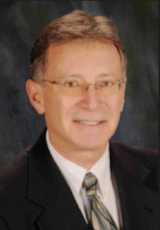 Mr. Samberg is a partner with Wolf, Rifkin, Shapiro, Schulman & Rabkin, LLP. He is an experienced trial attorney, a member of the Bars of California and Nevada, and an inactive member of the Law Society of England and Wales. Directly and through pro hac vice admission, Mr. Samberg has handled a broad variety of matters, including commercial, construction, and bankruptcy litigation, real estate disputes, creditor's rights, and major injury/wrongful death cases in state, federal and bankruptcy courts across the country.